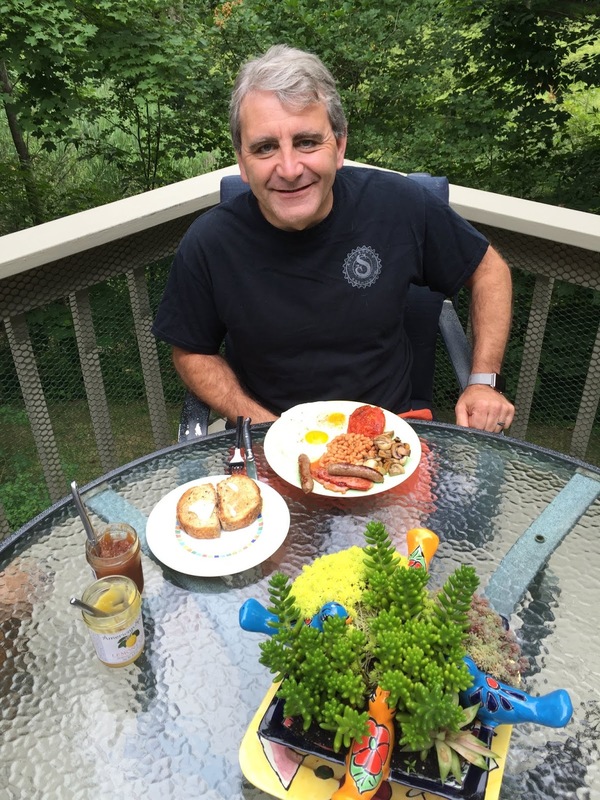 A Full English Breakfast, A Post in Honor of My Guy Jonathan. A full English breakfast; you'll hear this spoken about in England with the utmost respect and reverence. A Full English Breakfast, I think it deserves to be capitalized. After all, it is quintescentially British. 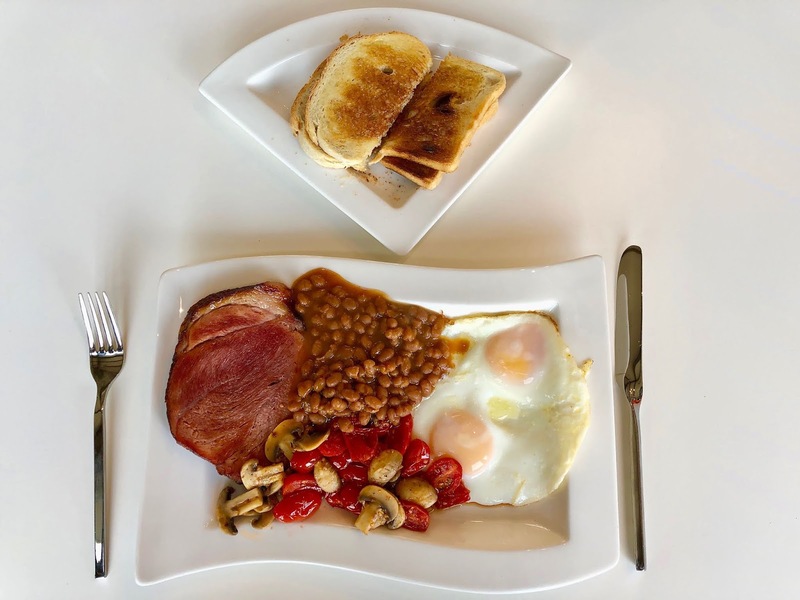 But what is a Full English Breakfast? When we first met, my guy Jonathan waxed lyrical about this British tradition. And that is actually what it is. It's a tradition, served almost exactly the same way anywhere in the whole beautiful isle. Motorway rest stops serve it, pubs plate it, hotels always offer it as a B&B option, which any respectable Brit would never turn down. 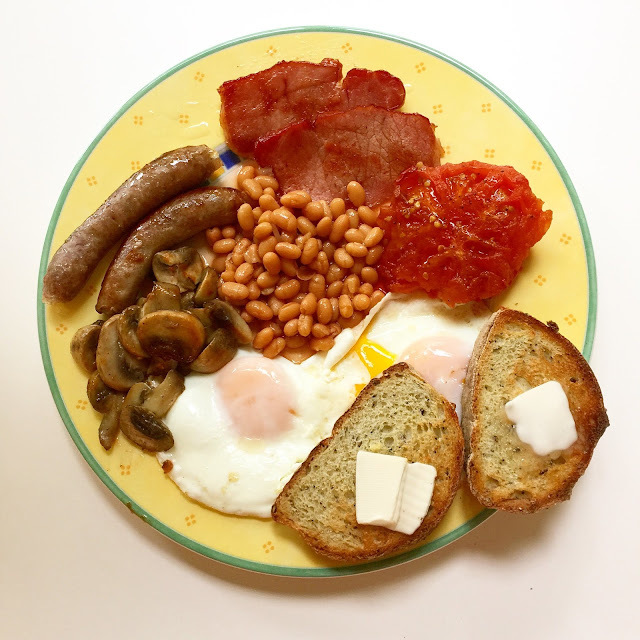 Still, the question remains, what is a Full English Breakfast and what makes it so special? I have to admit, after hearing about this almost reverential feast, I was a bit disappointed. Fried eggs, toast, bacon, sausage... What the hell is so special about all of this? We make all of those things here in the USA. Give me a side of hash browns, maybe a pancake or two, and we're really talking about the same thing. Except we're not, and I'll tell you why. Well, it's all about the accoutrements and the fact that it is almost always served the same way. Brits like that. Consistency. 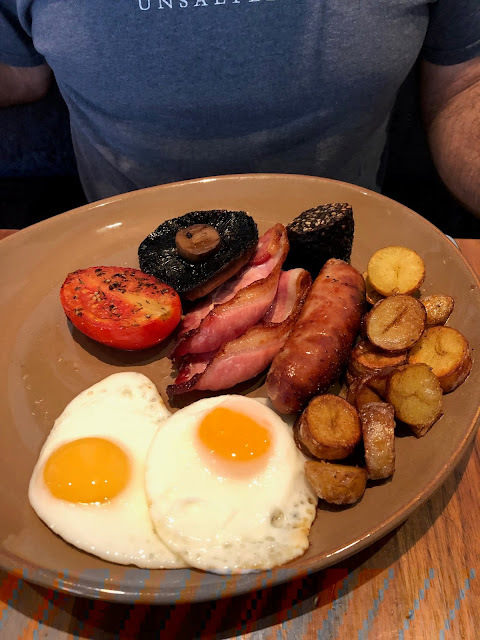 England is gray clouds, rain, lots of pubs, good English ale and gum on the pavement; it's a way of life, and therein lies the magic of a Full English. A good English Breakfast, yet missing black pudding, and some would argue, fried bread. And really, in these days of inconsistency, where change is the new norm, we all yearn for something that is expected. Consistency, and all we know and trust, can be very comforting. Consistency, like an old soft blanket, like a trusted friend, makes us feel anchored to our life, it makes the world feel less scary; it makes all the tough things in life more bearable. And who doesn't need that? Full English from Russell's, A Restaurant with Rooms, in Broadway, the Cotswolds. Over these past twelve years or so, I've eaten and cooked many Full English breakfasts. I've come to look forward to them whilst in the UK, almost as much as my dear man. And when I make one for my dear man, his smile always lights up the room almost as much as the morning sun. And really, isn't that what it's all about?